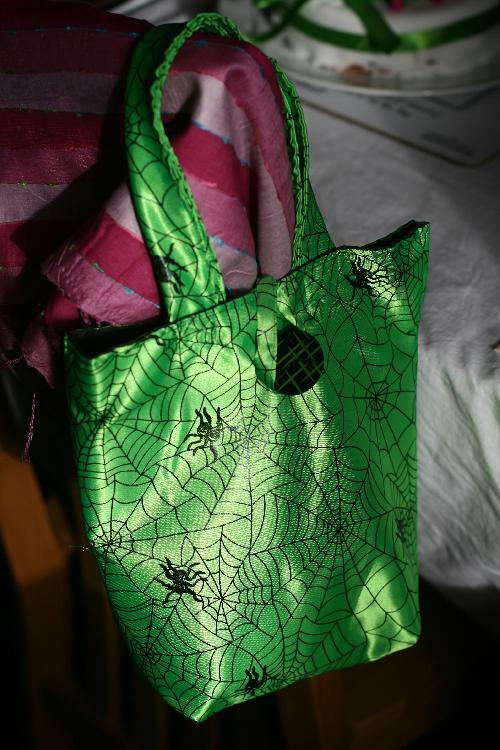 Catrin’s birthday handbag, made by Susan. It’s very Catrin. It’s absolutely fab and wonderful and I am delighted with it. Being immensely clever at these sorts of things, she also made me a very delicious cake, and a crocheted devil and Cathulu (Emlyn and Alf).